I Have a question for you, but first would like to thank you for all the hard work and dedication you guys put in every day. I live in Australia and managed to get into the Silver market in the early months of 2011 and purchased quite a few ounces at the time around the 30 and 40 dollar mark. 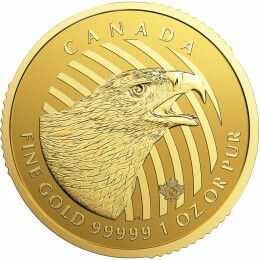 You can imagine my disgust at the raid on the 1st of May, but over time have managed to put the dollar value behind me and concentrate on the amount of ounces I have (I give you guys credit for putting my mind at ease).I have some stored in a deposit in another state as well as those I have in my possession, or rather at the bottom of a lake in an undisclosed location. My question to you guys is, what’s stopping the Govt, with the use of military force taking control of said depository’s (ie: Brinks in Canada for example)? Are you sure you want to store your silver at the bottom of a lake? Silver corrodes. I hope you have it in a watertight container. As for your question, “What’s stopping the government from using military force to take precious metals from a private depository, like Brinks?” I guess nothing, but by then, things would be so bad, so out of control that it would be (in a term you can understand) a Mad Max world. The only practical way for a country to “confiscate” gold or silver is to pay for it; pay an amount that is high enough that people will turn it in voluntarily (with the threat of jail and fines is you are found to be in non-compliance). In the case of Brinks, this would mean the US would be invading Canada – breaking into a private vault in another country. We may go to war somewhere – Eastern Europe, Asia or the Middle East but I seriously doubt we will invade Canada. We had our little to-do with them over 200-years ago in the War of 1812. Just as prayer may not get you to Heaven, gold and silver may not save you here on earth. But that’s why people pray and own gold. They hedge their bets. Under most circumstances, anything short of total breakdown, WW3 or a massive global Great Depression, your precious metals will be safe, especially if in another “Democratic” country. You should keep a meaningful stash of coins close by in case you need to get your hands on them in a hurry, but you should also keep a meaningful stash outside of – in your case, Australia. We can help you with storage in Canada, Switzerland and Asia, if that helps. Stay out of banks! I think storing in or near China is a possible risk too, as if there is a Third World War, China may well be involved and on the other side of the conflict. Hopefully, none of these extra measures will be necessary and we can just cash it all in, at an appropriate time, and benefit from the extra buying power the metals will offer – down the road. Congratulations on “getting it.” On realizing that it’s “all about ounces,” not dollars. The buying power will take care of itself and in fact, the more it is worth the more difficult our standard of living will be. And I can see that coming. Here is an interesting report from Sprott Precious Metals. It is bullish on mining shares and if you read Andy Hoffman, you know how he hates that sector. Being “objective,” I say if physical gold is going to go up a lot, having some “homerun” money in mining shares is not such a bad idea. Mining shares made me a lot of money in the 2000s. 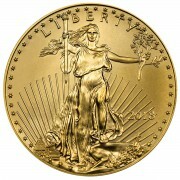 I usually took the profit and used them to purchase “free” physical gold and silver. I personally use Sprott for any trading I do in precious metals and resource stocks. They are good guys. Q: I am a long time fan and follow your work every chance I get. I appreciate your information and inspiration. 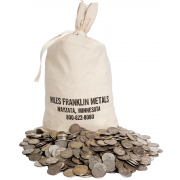 Being a Stacker has brought me concern that after the collapse, if precious metals have succeeded in preserving value, how is that value converted to post collapse commerce? How can it be exchanged for daily goods and services? How can it be used as collateral for investments? The banks I have spoken with w ill use an automobile or a house as collateral, but not a bag of gold or silver. Does there exist real life current day accounts of people in countries like Venezuela or Zimbabwe who have saved precious metals and applied their value to current day expenses and investment opportunities? Did their governments arrange for rational reset and were they open to logic? Stories of real people surviving in this manner would go a long way in explaining to friends and family that I do understand economics, and am not crazy in my hobby of collection silver and some gold. Thank you for your work and consideration. yes, study the many cases of hyperinflation in Argentina and elsewhere, metal was either bartered or exchanged into another currency to use or make settlement. This episode may be different because I don’t know of any currencies that will be left standing other than those of countries who do in fact have gold. Metal can always be bartered. Hope this helps. Sorry to say LOL, but shame on Keith Neumeyer. 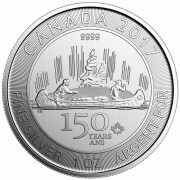 “Happy” at $16/oz? Does he really think his jawboning will make his equally pathetic stock go up? I mean, it’s down 79% from its September 2012 high, barely above five year lows, and he’s “happy” at $16? Remember, Keith is one of the few CEO’s that gets it – having actively railed against manipulation, and even holding back (a token amount of) production in 2013 to protest it – when silver prices were, LOL, $20-$23/oz. By the way, he since sold that silver because the great First Majestic, hailed as one of the “best” silver companies despite the fact it’s just a piddling player in the industry, needed cash so badly, it couldn’t even hold on to the measly 700,000 ounces it held back. Heck, just last month they were forced to do a massively dilutive equity financing not far from today’s prices. And this, after he again held back some more production to protest manipulation. I guess this was how he “paid for” holding production back; by massively diluting the stock. Was he was “happy” about that, too? I know shareholders weren’t. And I see he also announced a share buyback; again, with money raised by diluting the stock. They had just $22 million of cash at the end of the first quarter, so they heavily diluted the stock to raise another $30 million, just to buy back a stock that continues to plunge. Great strategy, huh? In 2013, First Majestic – again, one of the industry’s “best” companies, lost $38 million – with silver averaging $24/ounce; and in 2014, it lost a whopping $61 million – with silver averaging $19/ounce. Even in 1Q 2015, after capex and overhead were likely cut to the bone (no doubt, dramatically sacrificing future growth) it lost $1 million – with silver averaging $17/ounce. In other words, he’s lying – and doing so poorly, especially given his highly public claims of price manipulation. As for “the miners” being happy with this price, I have been writing incessantly of how the entire industry – especially silver – is on the verge of financial collapse. No, they are not happy, as the reason they are all hemorrhaging money is because the price is below the cost of production.